Mario Party: Star Rush Review – Eggplante! The Mario Party series has slowed down considerably since its heyday during the Nintendo 64 and GameCube eras, but for what it’s worth, the sub-series of multiplayer-friendly Mario shenanigans has managed to hang on into the current generation of Nintendo hardware. Even then though, the new gimmicks have often failed to inject life into the tired Mario Party formula, leading to the series still noticeably trailing the wide selection of Mario sports games, as well as the fan-favourite Mario Kart offerings, when it comes to the portly plumber’s multiplayer-driven spin-offs. Disappointingly, this struggle to reinvigorate Mario Party for the current generation of gamers remains all too apparent in the series’ latest offering, Mario Party: Star Rush for Nintendo 3DS. This game follows up 2013’s previous series entry for 3DS, Mario Party: Island Tour, as well as, to a lesser extent, the series’ latest mainline offering, Mario Party 10 for Wii U. There is an honest effort by developer, Nd Cube to make Mario Party: Star Rush an especially solid multiplayer offering for 3DS and 2DS owners too, primarily since it only necessitates one copy of the game to host a proper party with any friends that own a 3DS or 2DS handheld, and even does away with the series’ turn-based board movement across all modes. As much as it’s more streamlined though, Mario Party: Star Rush isn’t necessarily any more fun than any other modern Mario Party game, especially when it won’t take you too long to see all of the game’s best gameplay offerings. The game is still enjoyable enough for people who still like Mario Party even amid its lesser modern offerings, and also makes for a pretty decent game to enjoy for children and/or more casual 3DS/2DS gamers at least, but if you want a deeper and more sophisticated multiplayer experience from the 3DS line of games, it’s not like you don’t have plenty of better options. Mario Party: Star Rush predictably packs the expected degree of Nintendo polish in its visuals, being filled with lively and vibrant game boards, minigame arenas and navigation menus. The visuals aren’t that much better than those in Mario Party: Island Tour, a game from three years ago, but for 3DS standards, the graphics are quite good, even if they also predictably don’t compare to the flash factor of a more core gamer-directed Mario game. Those playing on a 3DS or New 3DS handheld can enjoy a surprisingly potent 3D effect in Mario Party: Star Rush as well. Considering the small scale of the game, many of the board layouts and boss minigames especially have very pronounced 3D presentations, conveying more of a sense of scope and immersion than you would probably expect from a game like this. Legacy 3DS and 3DS XL owners in particular might want to turn the 3D off during more intense play sessions, since the 3D becoming unstable can definitely screw you up during certain minigames, though this is at least a bit less of an issue on a New 3DS handheld, if you prefer to play in 3D. If you opt to flick off the 3D Slider, or are playing on a 2DS, you’ll still get a fairly visually pleasing experience though, especially when playing in 2D is often most reliable for the more intensive minigames. Certain minigames that make extensive use of the stylus or mic can only be viewed in 2D anyhow, since you’re primarily focused on the other screen in those cases. 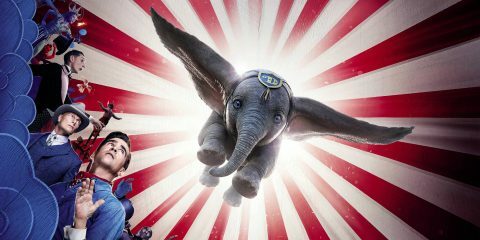 You don’t lose very much by switching the 3D off, potent as it is, though the best place to enjoy the 3D presentation is definitely when navigating around the game boards, which do at least leap to life all the more when the 3D Slider is cranked up. 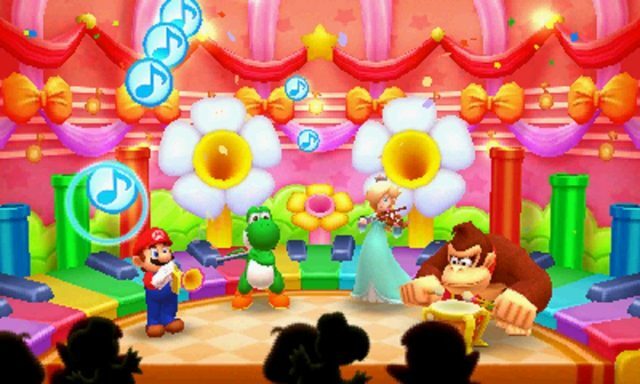 The upbeat, sugary musical compositions that have always defined Mario Party are back in full force within Mario Party: Star Rush, with a mostly all-new soundtrack that doesn’t seem to have much in the way of old favourites. There’s a few subtle Mario theme reprises in certain minigames, and you’ll get to play along with some especially beloved classic Mario tunes in the unlockable Rhythm Recital mode, but the new music still gets the job done. The tunes are catchy enough to easily hum along with in most board sessions and minigames, and the excitable fanfares that occur with each victory for certain players are still infectiously uplifting. As for sound effects and voice clips though, it’s evident that quite a few of them are recycled from former Mario games, with a few noticeably being ripped straight from the previous Mario Party: Island Tour as well. Granted, the more simple foundation of Mario Party doesn’t necessitate high-end audio, especially when the sound bytes and voice clips still work here as well as they ever did in any other Mario Party game, handheld or otherwise. If you’ve played any Mario Party game, then you’ll be familiar with the excitable announcers, the declarations of glee and disappointment from the characters that come with every victory or defeat, respectively, and a few choice satisfying sounds that come from springing traps and misfortune on your opponents while navigating game boards. This, paired with the reliable happy jingle that comes with every collected coin and star, still all technically functions, so there’s not really any reason to switch it out for Mario Party: Star Rush, even if it’s also not rocking the boat from an audio standpoint. Mario Party: Star Rush mercifully does away with a few things that have been holding Mario Party back in the modern gaming era especially, namely the awful ‘car’ mechanic that forces every player onto the same game board spaces (which was inexplicably still lingering in Mario Party 10), though the game doesn’t feel like the fresh revolution that Mario Party truly needs either, despite its best efforts. 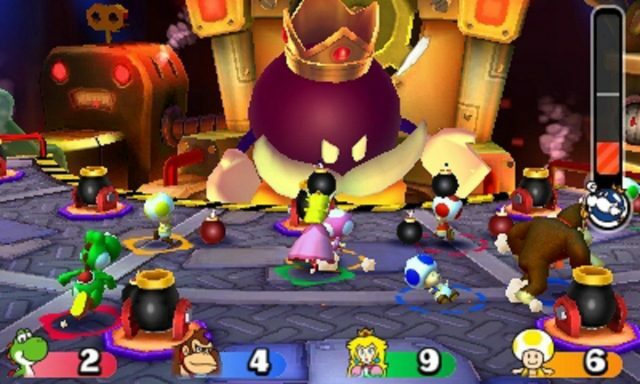 Mario Party: Star Rush does nonetheless dare to be different though, and that’s evident from the first moments that you enter the game’s Party Plaza, which contains any play modes you have access to. For starters, Mario Party: Star Rush dictates your progression with an RPG-style level-up system, which grants you EXP for every play mode you enjoy, and every victory you attain. 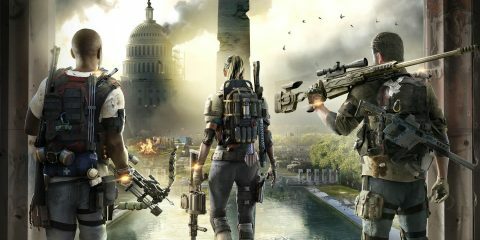 As you ‘level up’ by earning enough EXP points from being a party victor and the like, you’ll unlock new play modes and characters, among other bonuses such as higher difficulty settings. In theory, this does motivate players to keep coming back and hosting as many parties as possible, even merely against CPU opponents. 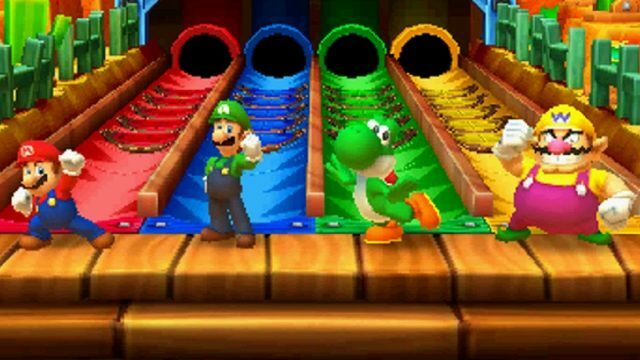 Where this idea stumbles though is the fact that you’ll have played through all of the best elements in Mario Party: Star Rush in just a few hours, with little else to do than revisit board variations and play the same handful of minigames. 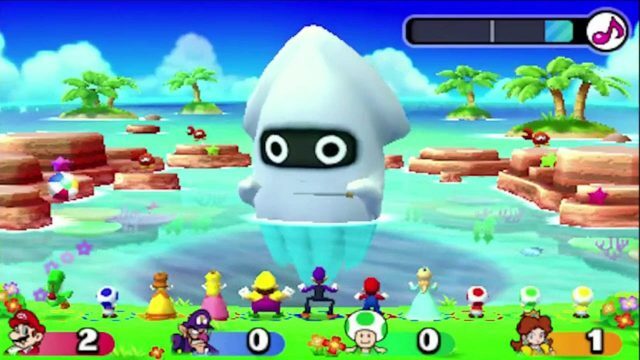 When you start out, you’ll be able to move between the Character Museum, where you can look up information on the game’s characters and scan compatible Amiibo figures from the Mario set and Super Smash Bros. set for some extra EXP and stamp images, or one of the core game modes in Mario Party: Star Rush, Toad Scramble. Toad Scramble places four players in control of a red, blue, yellow or green Toad, and tasks them with moving across game boards to challenge bosses, which net winners of boss minigames extra stars that are necessary for victory at the game-ending wrap-up. 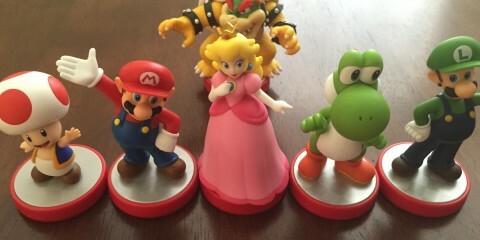 Along the way, Toad characters can also recruit familiar Mario series characters as ‘allies’ that net them extra dice blocks and help in boss minigames, with players also having the option to scan a compatible Amiibo figure of one of the game’s player characters to immediately give them an ally at the start, one that can’t be stolen or removed. 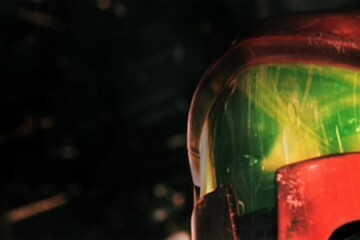 The boss minigames are often surprisingly simple, to the point where even children can quickly grasp them, tasking players with doing things like grabbing apples and dumping them in a basket while avoiding Goombas, or tapping the A Button with the proper timing to appease a Blooper orchestra. 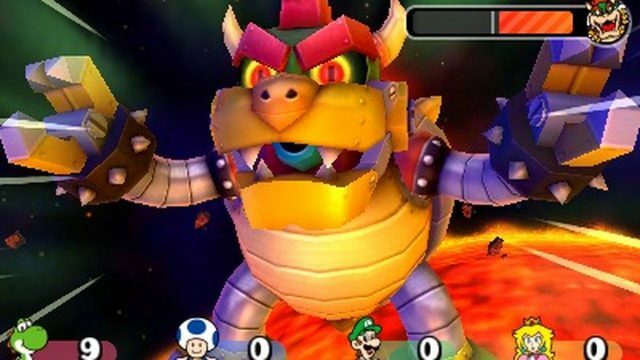 While these boss minigames can be enjoyable with friends and one’s own children, there’s not that many of them, and, with the exception of the final Bowser minigame on certain boards, they never vary their objectives or obstacles. This is a large part of why Toad Scramble will get old pretty quickly to those who already regularly indulge in more fleshed-out 3DS multiplayer experiences, since it constantly forces you into the same tired boss minigames, which only get less interesting with every successive party that you partake in. 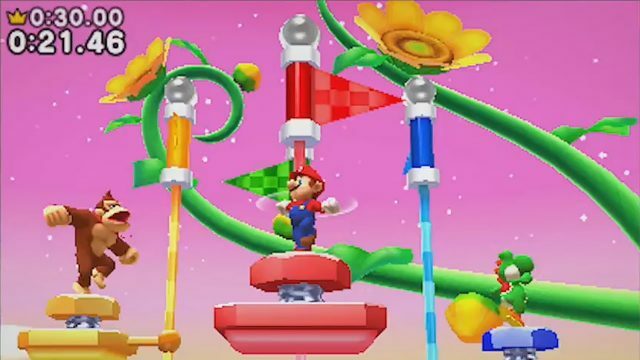 The standard minigames that occur when players move across Coin Balloons in any mode are a little more varied and interesting, though as with most Mario Party games, these minigames can range pretty wildly in quality. Some minigames, like Roller Revenge, which has you leaping around a tiny platform as Spike enemies toss pointed rollers at you, or Acornucopia, which has you trying to carry a plate of acorns while trying to knock other players into oncoming Goombrats, can be pretty fun, even for more avid gamers. Other minigames however, like Fruit or Foe, where you just pick a door and hope you don’t get eaten by a Chain Chomp, or Piece of Cake, where you have to cut a vaguely-defined cake model to hopefully match a Shy Guy’s request, are lame and ill-designed, to the point of being based on luck rather than skill. The person who triggered a minigame can at least choose which minigame is played, allowing groups of players to pretty easily avoid the lousy minigames, but that just narrows down Mario Party: Star Rush’s already modest minigame count even further. To make matters worse regarding the game’s minigames, many of the unlockable play modes are also just lame alternate minigames that get old pretty fast. Rhythm Recital is sort of fun, as you try to time button presses with recognizable Mario songs from the past, but before long, you’ll have played every tune, without much of a reward given for playing well after you unlock every song, beyond more party EXP. Likewise, Coinathlon isn’t bad, as you try to play minigames well to move across a game board and amass coins, but it’s really only enjoyable with friends, as its difficulty ramps up surprisingly quickly when playing against the CPU and its unfair advantages. As with the proper minigames played on game boards though, for every good unlockable play mode, there’s an un-enjoyable unlockable play mode. Boo’s Block Party is a watered-down rendition of Tetris Attack for example, and you can instead just play a proper version of a competitive puzzle game with a friend if you’re so inclined, a genre of game that the 3DS library is full of. Mario Shuffle is also a really shallow rush to a finish line on a simplistic straightaway game board, and is barely worth mentioning, let alone playing. 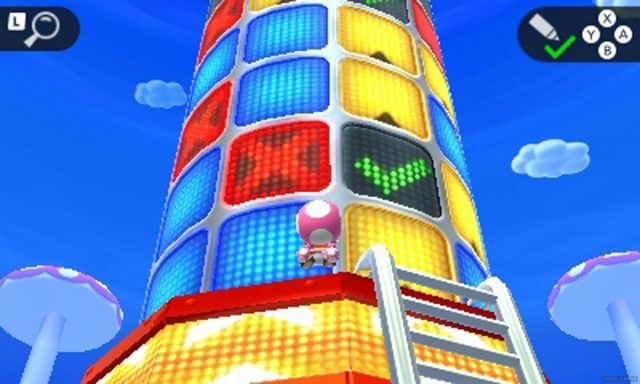 Finally, the Challenge Tower, which tasks players with trying to climb a series of grid-like towers while avoiding Amps that shock them and make them fall, is mostly luck-based and very annoying. The fact that you can only get extra ‘lives’ on the tower by scanning separate compatible Amiibo figures, which become unusable in this mode again for 24 hours after being scanned, only makes the Challenge Tower worse to boot. If you don’t have an extensive Amiibo collection, particularly in the Mario set and certain parts of the Super Smash Bros. set, that makes the higher-difficulty towers pretty much impossible to clear. This is especially true when certain compatible Amiibo figures like Rosalina, Donkey Kong and Diddy Kong are currently impossible to find in stores, in either the Mario set or Super Smash Bros. set variations! These gameplay shortcomings really are a shame, because Mario Party: Star Rush is an especially accessible rendition of Mario Party, particularly for a handheld gaming platform. 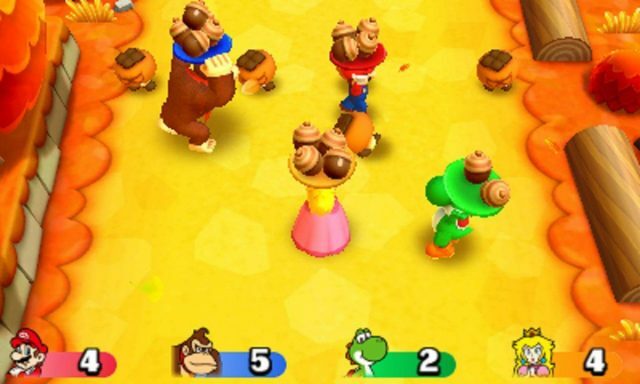 The fact that all players roll the dice and move their characters at once in Toad Scramble and Balloon Bash, the two modes that feature game boards, makes for far better-paced parties which in turn make Mario Party: Star Rush more attractive than the previous Mario Party: Island Tour for short-burst play sessions. Likewise, the fact that people who don’t own Mario Party: Star Rush can download a ‘Party Guest Edition‘ of the game for free from the 3DS eShop, where they can participate in the parties of people who own the full game, and transfer their play data to the full game if/when they buy it at retail or from the 3DS eShop, is actually pretty great for late adopters who don’t want to be left out of the fun with their friends. As much as Mario Party: Star Rush can feel underwhelming, it never feels lazy or rushed either, with Nd Cube clearly wanting this game to be another multiplayer gaming staple for 3DS and 2DS owners. 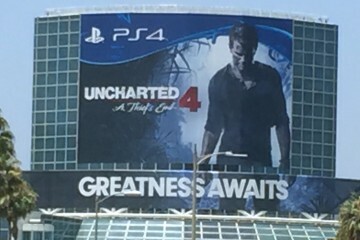 Still, it’s just not enough to elevate the gameplay to where it needs to be. Mario Party: Star Rush may be more accessible and better-paced than its predecessors, but that doesn’t change the fact that the game runs out of worthwhile content too quickly, especially when the gameplay package is as uneven as most modern Mario Party games tend to be. When stacked against beloved 3DS multiplayer staples like Mario Kart 7, Super Smash Bros. for Nintendo 3DS or any of the juggernaut Pokemon or Fire Emblem games on the platform, Mario Party: Star Rush just can’t keep up, and can’t hold the attention of more serious 3DS/2DS gamers to nearly the same degree. Mario Party: Star Rush does a little more for the re-invigoration of the Mario Party series than Mario Party 10 before it, but despite its handful of appreciated innovations, it falls short of truly returning the series to the appeal of its glory days. The 3DS library has plenty of better multiplayer diversions for healthy handheld competition between friends and family, making Mario Party: Star Rush best served to a more casual, less demanding gaming audience. Even when taken as a more casual experience though, the fact that Mario Party: Star Rush runs out of novelty so quickly is another especially big problem. 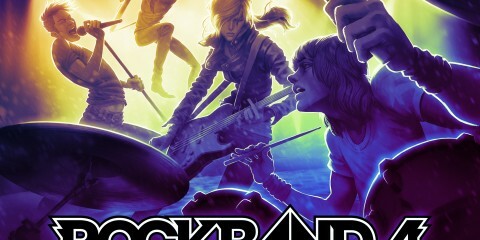 Had its ideas been perhaps applied to a larger-scale console experience on Wii U, or possibly even the upcoming Nintendo Switch, it might have been a meatier and more worthwhile party game. In trying to translate this revised formula to the sensibilities of the portable Nintendo 3DS ecosystem though, Mario Party: Star Rush feels somehow compromised, ultimately lacking the depth that it needed to truly succeed. On the bright side, Mario Party: Star Rush could serve as a worthy rough draft to a proper return to form for the Mario Party series later, since its ideas still have potential that can certainly be better mined in a future game. For now though, this is a party that you’ll probably want to leave long before last call. This review is based on a copy of, “Mario Party: Star Rush” provided by Nintendo. Mario Party: Star Rush has some great ideas for re-invigorating the Mario Party games, but its limited suite of content ultimately has it running out of steam pretty fast.